Lined with 10 oz. polar fleece & 8 0z. • 3M™ reflective tape (front & back). • Nylon rubberize (collar, upper front & back). • Lined hood with snap closure & string. • Lined collar with snap Closure. 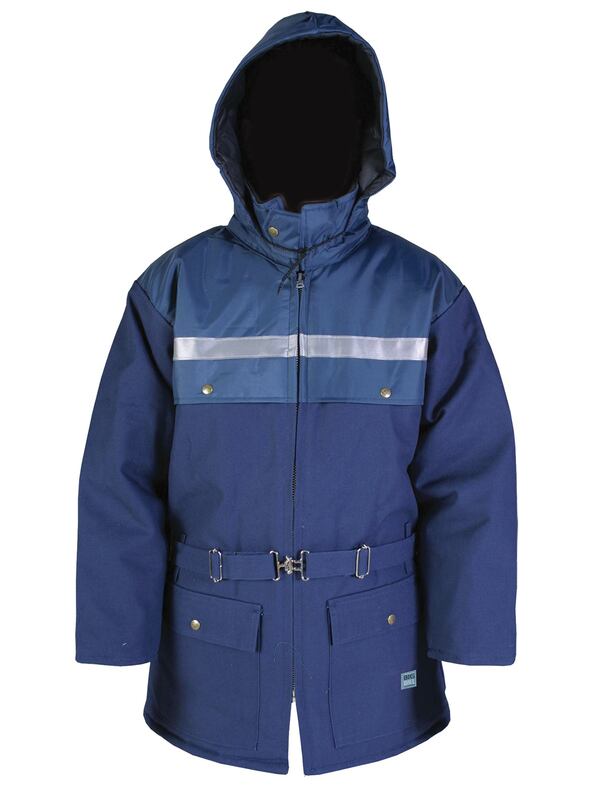 • Adjustable hood with 4 snaps on back collar. • Front with 2-way zipper closure. • 2 chest pockets with snap closure. • 2 front pockets with flaps & snap closure. • Elastic with four stitches on waistband.